It is the sweet, simple things of life that are the real ones after all. For a number of years, the freedom of living a simple and mobile lifestyle called to us. 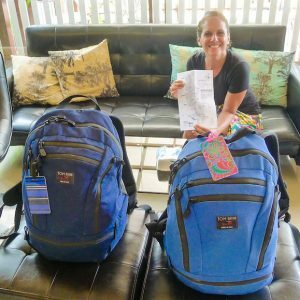 We’ve always loved to travel, and have felt the most free when traveling with very little – be it roadtripping across the States with little more than a few outfits and a cooler, or traveling through Asia for months with only 24L, school-size backpacks. All of these were very temporary living situations, though. When Stephen first approached me about living in an RV, then, I balked pretty hard. I didn’t like the look and feel of RVs, on the inside or outside, and I thought we would feel cramped. Customized tiny homes, on the other hand, felt very exciting, and I could imagine us building one that met all of our needs and joys in a home. We had moved from NYC to California, and remarkably (as aspiring nomads and minimalists), bought another home when we landed – a condo in Encinitas, just north of San Diego. We loved the town and expected to plant roots there – we were about to have a baby and all. But soon after Sofia was born, we found ourselves in an eerily familiar place – unhappily working a job to pay the mortgage, squeezing our living into the wee hours around that job, and finding most of our “free time” filled with chores, rather than walks on the beach. We were 5 minutes from the ocean, but for the most part lived within the confines of our four walls and in front of screens. We took a long weekend to Sedona, AZ to unplug, and on a hike had the same, instant inspiration: we needed a dramatic lifestyle change, really to live in nature, and more together as a family. We had been programmed by the urban life, all of our systems ran mechanically, and we needed a detox – a period of “repatterning” as our friends, Gabriella and Andrew Morrison had done with their family, where natural, innate rhythms might have a chance to take over. It was time to “get out” of the matrix we had known in a more complete way than we had by leaving NYC for less urban (but still urban) CA. It was time to live truly unplugged and free. We knew we couldn’t live in our condo anymore, but we didn’t know where we did want to live, so it was time to explore. We got back from the hike, and Stephen started pulling up vanlife websites. 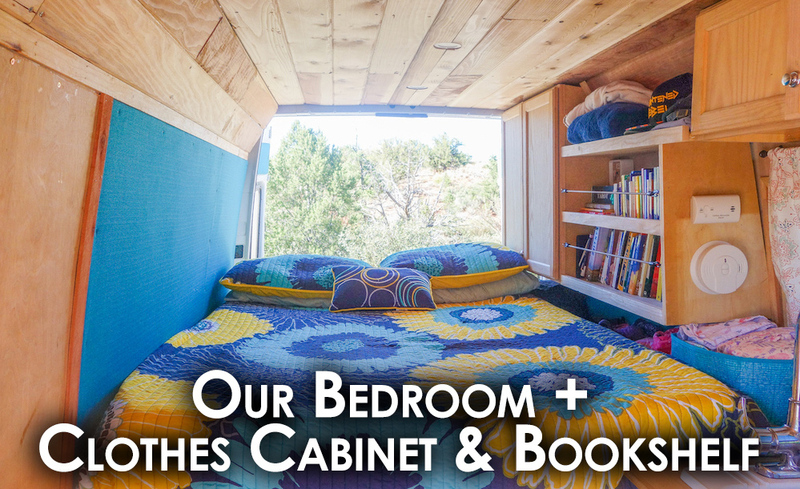 I had no idea what kind of amazing homes people had customized in vans! Designing our own van, it seemed, could marry the beauty and comfort of a tiny home with the mobile convenience of an RV. As we returned home and began lookingfor vans in earnest, any doubts that surfaced about the choice we were about to make were quickly wiped away as the universe seemed to be ushering us powerfully forward. We found the ideal van at a great price just a few miles away, and we seemed suddenly to be making friends with all kinds of people with just the right skills needed to build. 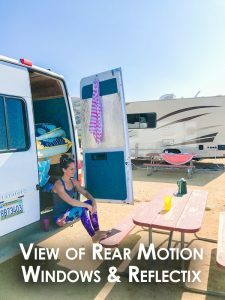 We found tons of resources online, and stayed up late into the night watching the many truly awesome videos and blogs out there on van life and van conversion (shout outs to Vandog Traveller, Bearfoot Theory, Exploring Alternatives, MegaWats, The Vanual, Sprinter Van Diaries, and Kaya Lindsay, to name just a few!). Soon we had a design we loved and were ready to build. To go all in, we decided to sell our condo and sell or give away nearly all of our things – and once we did that, timing to finish the build was tight. We had just 3 months until our move date. Although we wanted to do it all ourselves, and did tackle the first step of sound and thermal insulation, we soon realized we needed some pros on the team, and brought on our neighbor and tiny house builder, Ben Rawson, and his team from The Zen Cottages. Ben helped consult on our final design and brought on a carpentry team to build the van interior. We also hired an electrician to construct our power system. Luckily, Ben lived next door, so we were in and out of the build site every day, co-creating our new home. Our move date was August 4 and the build continued right up to the moment of our departure, as we put in the last of the interiors and moved in all the things we would need to live there as a family – clothes, dishes, camping gear, etc. – the night before we moved. We had Amazon Prime boxes arriving right up to the moment we left our condo and spent hours at Target the day before we left getting all the right finishing touches to make it home. We spent the next three months on the road learning to live together as a family in a much smaller space, and learning to make the changing outside, and nature, part of our home. We learned so much about ourselves, about truly loving one another, about what remains constant when you remove your routines and shift your externals, and, ultimately, about what makes a “home”. We recorded a podcast upon our return from this adventure, talking about our experience with repatterning – what we expected would happen, what actually happened, and everything in between. To give back to the online community that helped us so much when contemplating how to turn our van into a home, and to share our love and pride in our van back with the universe, we recorded our own van conversion video during a later visit to Sedona in October, while traveling in our van. The rest of this blog post is designed to be read alongside that video, providing all the nitty gritty details of the materials and products we used in our build to help you design and bring to life your own van home, too. 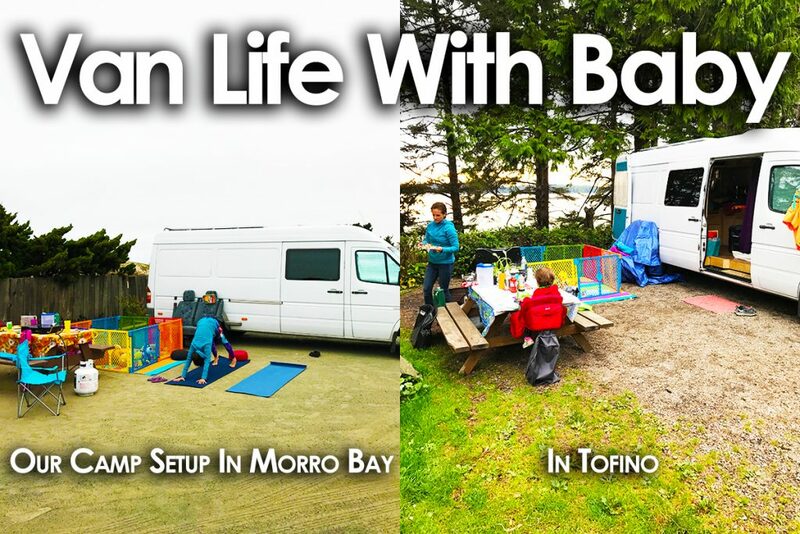 Please leave comments or send us a message if you have any questions that we didn’t address in the video or in this post – we are more than happy to provide any additional information about the design and build or about our experience living in the van! And please see our YouTube channel for regular updates on our continuing journey to build a wildly free life that is aligned with our highest joy, excitement and calling to serve the world. Windows: Our Sprinter van came without windows, and we knew that we wanted them, to bring our natural surroundings into our home, and for better driving visibility. Windowless vans can be absolutely great for stealth camping – that is, if you are going to be sleeping in the van in urban areas and want to remain incognito. 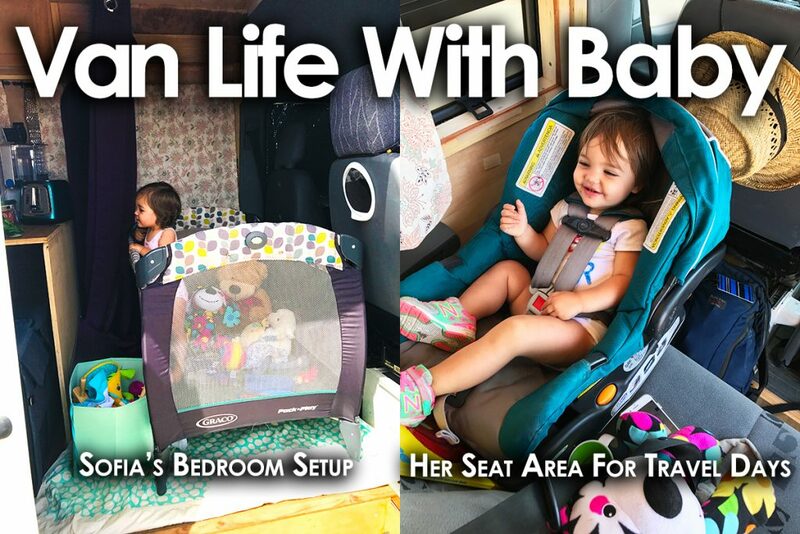 Traveling with our baby, Sofia, living stealth wasn’t a priority for us, and we expected to camp mostly in campgrounds, on farms, and other places where we would be expected. In our research on van conversion, we found that there are two main types of windows – CR Lawrence and Motion – each with their own advantages. We really liked the sleek look of the CR Lawrence windows, and the awesome visibility they gave from inside the van, and liked that the Motion windows had a T-slide, so you could open them for ventilation. So we bought a couple of each – CR Lawrence for the van side windows, and Motion for the rear windows. Having lived in the van, we wouldn’t change a thing – we love these windows. Insulation: We were planning for long, expansive travels with a lot of driving and also a range of temperatures, traveling initially from late summer through the fall across the western United States and Canada. So we knew we would want both a good soundproofing system to drown out the van rattling noises, and strong thermal insulation for the van to retain its temperature as much as possible. We easily found our soundproofing system in FatMat Rattletrap – which was recommended by a number of vanlifers – and decided to use the Polyiso board/Great Stuff combo for thermal insulation. We squeezed bottles upon bottles of Great Stuff into the interior walls of the van (I wish I could tell you how many, but you could easily use 100), and also used it to adhere the Polyiso to the walls inside. Although we were told by many that Great Stuff is not meant as an adhesive, it worked great in that capacity as well as an insulator! Both systems worked really wonderfully on the road – initially rattling like any cargo van, the van is extremely quiet now while driving, and we were able to sleep comfortably in the van with temperature drops to about 40 degrees outside (no lower). Power System: Knowing virtually nothing about how an electrical system actually works, and certainly nothing about building one, I spent hours and hours on van conversion sites (including this one – thank you!!) that teach you in detail how to do this. I learned a ton, but in the end, we didn’t have a lot of time to DIY this important aspect of the van build, so we decided to hire a professional and friend, Christopher, a local electrician to consult on our designand assemble our system. How much power you will need need – i.e., what size and type of battery, and what size and type of solar panels – really depends on what devices you will want to run and for what period of time each day. There’s a lot of good info about this on the internet, including in the site linked above. We decided early to keep the system simple by getting a Goal Zero Yeti 1000 Lithium, which had just come out on the market at Costco for $1000 (you can find other Goal Zero batteries and products here). You will find a lot of debate about that value on the internet, but for us, the value in keeping it simple was worth the extra money we might have paid to design our own system from scratch. Christopher ended up adding another deep cycle AGM battery for a separate part of our electrical system to ensure we would absolutely have enough juice to keep our system going even upon a day or two without good sunlight. To make sure we had at least over 100 amps of power coming in at any time (accounting for variable sunlight and solar panel pull), we put four 100 watt solar panels from Renogy on the roof of the van. The system worked amazingly well – we almost never had to worry about power traveling anywhere, even across the Northwestern US and Canada. Only once did we have a challenge and need to plug into shore power (an option with Goal Zero), and that was when the heavy smoke from NW fires completely clouded out the sun in the North Cascades. Lighting: We had lots of great, creative ideas about how to light the van in our initial design, including a colorful ceiling lamp to hang over our dining table and reading lamps in the back by the bed, but in the end, we needed to keep this aspect of the build simple, and we went with an LED light kit from Home Depot which met all of our daily needs. We ran a series of LED lights down the center of the van, which we were able to turn on and off and dim to our liking with a switch reachable upon entering the sliding door of the van. Worked absolutely great. We did end up purchasing portable reading lights that we could clip to our books in the back for night reading, but mostly used our kindles. Darkening: We were traveling with our 15-month old (at the time) daughter who was used to sleeping in a dark room, and would begin to awaken at the first sign of light. So… we wanted to make sure we could keep the van dark, at least somewhat, if we wanted to sleep past sunrise :). Having solid window coverings also added privacy, although the windows are tinted. We found that others had custom-cut Reflectix for this purpose, and we bought a roll. We roughly measured and custom-cut the Reflectix to cover each window, and used 3M mounting tape to seal them into place. This system worked remarkably well, keeping the van fairly dark and very cosy into the morning and even for afternoon naps. Kitchen: We knew we wouldn’t have a lot of room for our kitchen, but eating well and together as a family is a big priority for us, so that informed our the design and product choices for our kitchen and dining room. Given our goal of spending time in nature, our plans to stay mostly in campsites, and given the tight space of the van, which has your kitchen at the foot of your bed, we expected we would cook mostly outside, and it turns out that we did so entirely, and loved it! We got a Coleman camping stove for this purpose, which worked really well, except on the windiest of nights. 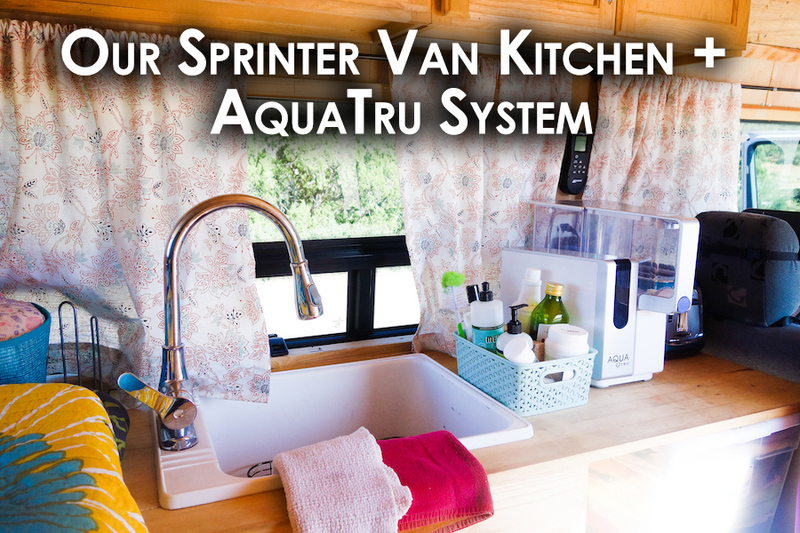 For our sink, we use the Shurflo water pump that we saw others use in their van builds, and bought a fairly big and deep sink, which could double as a bathtub for Sofia if needed (and was useful in storing moveable items while driving). To make sure we would have clean water, we did a lot of research on water filters and decided on the Aqua Tru filter, which is a reverse osmosis system that is small, portable and easy to use. There are a few items that we splurged on and one of those was on our Dometic refrigerator. 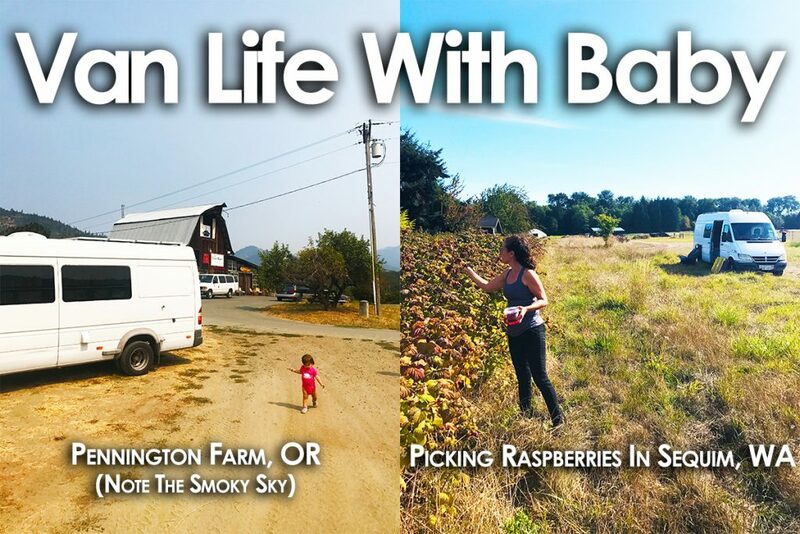 Healthy food is a huge priority for us, and we wanted to be sure that we would be able to store food that we bought at a farmers market or otherwise for a few good days when we headed off the beaten path. Dometic has a wide variety of sizes to meet your needs, and we went with the 46L, which turned out to be a perfect size for our family. For van ventilation, we chose the MaxxAir Fan because we heard that it had the best water sealing system for rainy days. We had some serious downpours in Tofino on Vancouver Island so we can attest – it holds water tight! It also did a great job cooling off the van on hot days (we don’t have an A/C beyond the van’s internal system) and eliminating stuffiness and odors. Bedroom: Probably the toughest design choice for us of all: whether to have a stationary and very comfortable bed that would monopolize the space, or a banquette style-sitting, dining and working area with cushions that would convert into a bed at night? We love the banquette look, feel, and multipurpose use, but ultimately, we decided on a stationary bed because we really wanted to be comfortable sleeping at night, and didn’t want to have to rearrange/remake the bed area every day. Given our desire to be comfortable, we also splurged on a comfy mattress that we would love crawling into at night. We looked at a lot of mattresses, and went with a mid-range Plushbeds mattress that has some (though not all) eco-friendly features. (Note: We added a butcher block table that would pull out from under the bed for use as an indoor dining table and workspace – which is awesome). Essential, clutch items for vanlife with baby (pics! ): A big reason we wanted to add our van conversion story, design and build information to the plethora of great information on the internet is because we were experimenting with vanlife with a baby – 15 months-old at the beginning of our travels and 18 months at the end (at least of this first leg of van living). 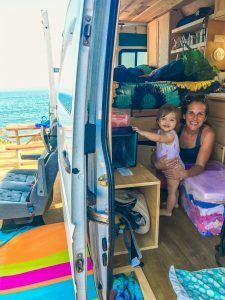 We saw a few pictures of people living in vans with babies but no detailed conversion videos or blogs specific to this purpose, and the unique design and living challenges (and joys!) of family van living. 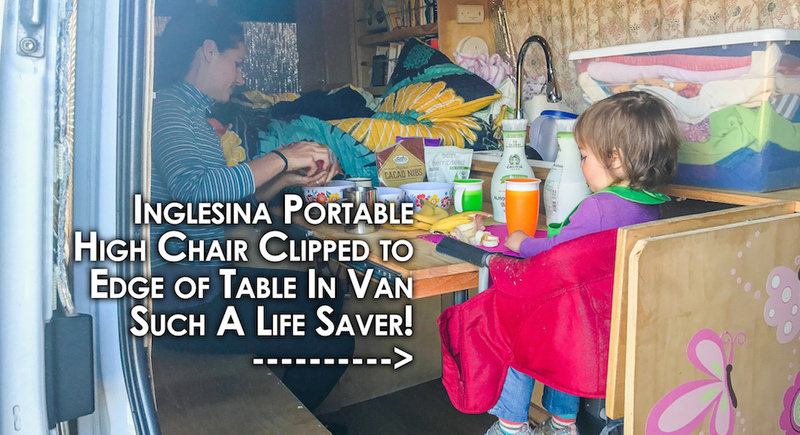 A few of our Sofia-specific vanlife items were so clutch to our happy and comfortable living together in a van as a family that we wanted to include them here. Inglesina portable high chair (see pic below) – This one takes the cake! Shout out to my long time best friend and college roommate, Wenhsin for this amazing gift. This canvas high chair clips to the end of most flush tabletops, and was an absolute lifesaver for us on picnic tables and on our indoor dining table. We now take it with us everywhere we go because it is snug, safe, and infinitely better than your average restaurant high chair. Don’t spend another minute thinking about it – just buy this! Nicetown blackout curtains – About that curtain: we wanted something that would both block out any light coming from our end of the van (i.e., reading lights or sunlight from opening the van back doors, which became our entrance and exit while Sofia was sleeping) and, ideally, add a little soundproofing as well. We went with these Nicetown curtains which have worked absolutely beautifully. They darken extremely well, and however they hardly soundproof a lick, they have created the sense of a separate room, which Sofia needs to retain sound sleep. We plan on releasing soon another vanlife video specifically about traveling and living with a baby, key lessons we learned and what an absolutely remarkable and beautiful experience this was for Sofia and for us. Check out our podcast episode which we recorded just after returning from our first 3-mo journey through the western US & Canada. We discuss the van in depth, our trip and some of the challenges we faced throughout the journey. 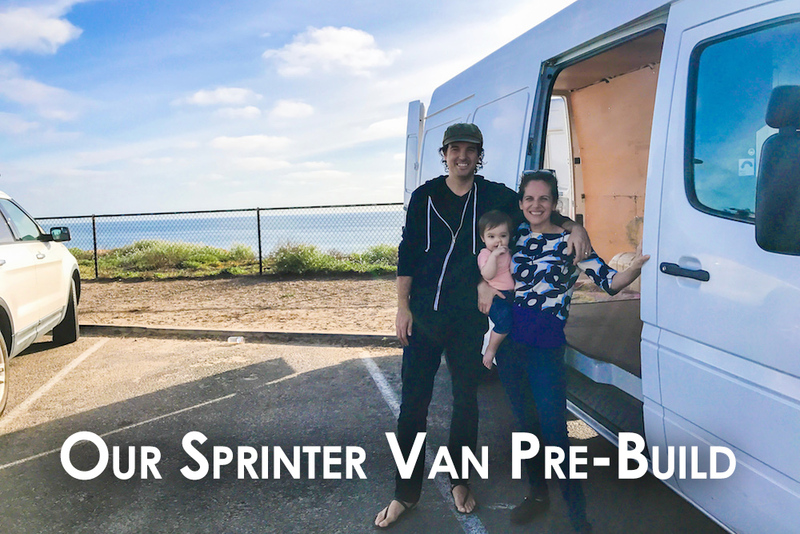 If you’re considering building out a van or traveling for a long period of time in a van, you’ll get a lot out of our conversation. Interested in exploring #vanlife yourself? We highly recommend Ross Lukeman’s Cargo Van Conversion Course*. He walks you step-by-step through the process of converting a cargo van into a home. He converts vans for a living and lives in one himself. 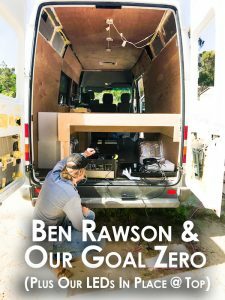 He offers a super useful “44 Van Conversion & Lifestyle Tips” PDF as a freebie on the front-end too to help you get started. Check it out! 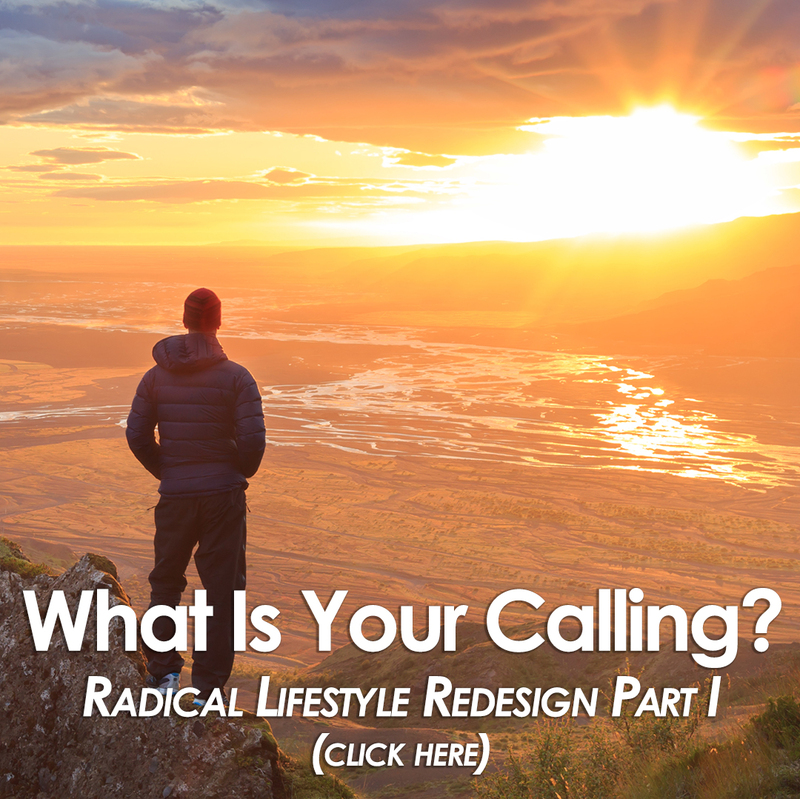 Radical Lifestyle Redesign I: What Is Your Calling? As stated above, feel free please to ask us any questions about this in the comments below – we love to connect and are more than happy to help. 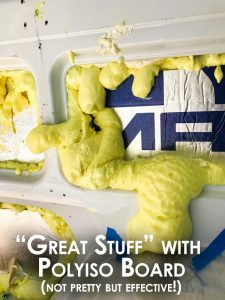 * The link to Ross’ “Cargo Van Conversion” Online Course is an affiliate link.